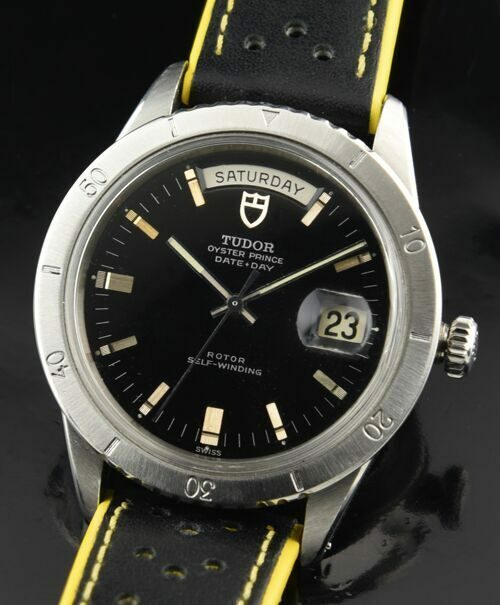 This 1970’s TUDOR JUMBO Oyster Prince Day/Date is a very uncommon example and has everything going for it! This stainless steel ROLEX OYSTER case is MASSIVE, measuring 39.4mm. across. This model even has a turning bezel. The stunning black dial is completely ORIGINAL and has silver gilt print, steel baton markers and original hands, having the original lume-all essentially without a mark! The case gleams. The automatic winding TUDOR movement was recently cleaned and is accurately keeping time. The only TUDOR watch (as large) in this vintage era is the Submariner. The rally yellow accented band completes the sporty look. 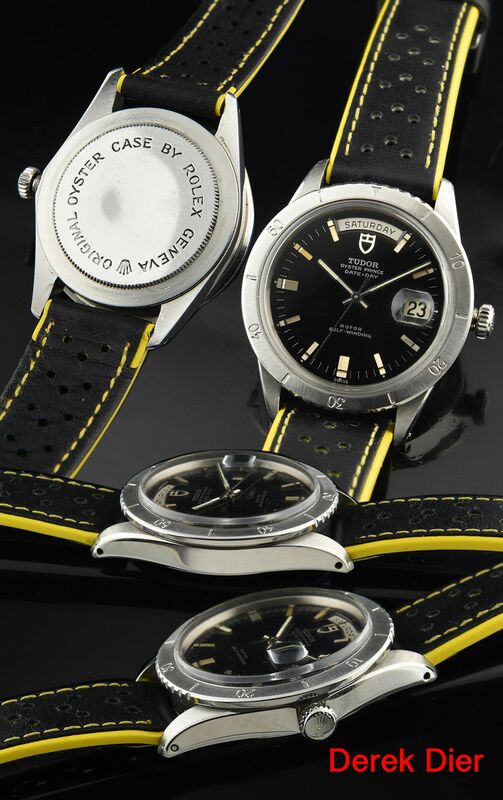 I do believe these massive and uncommon TUDOR watches will become highly coveted in the future. I wouldn’t wait to buy this.